This is the sixth of nine summer solstice releases which begain in 2013. This year I released this fish at Alexandra Gardens in Kew, it was the first rainy release. Again, I Facebooked and Instragramed the image and location and this was the response. 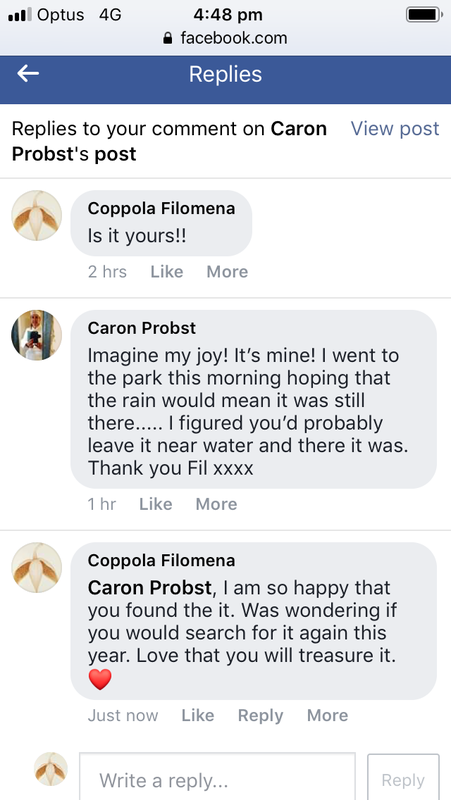 So lovely when someone who has been seeking a fish for years finds one. 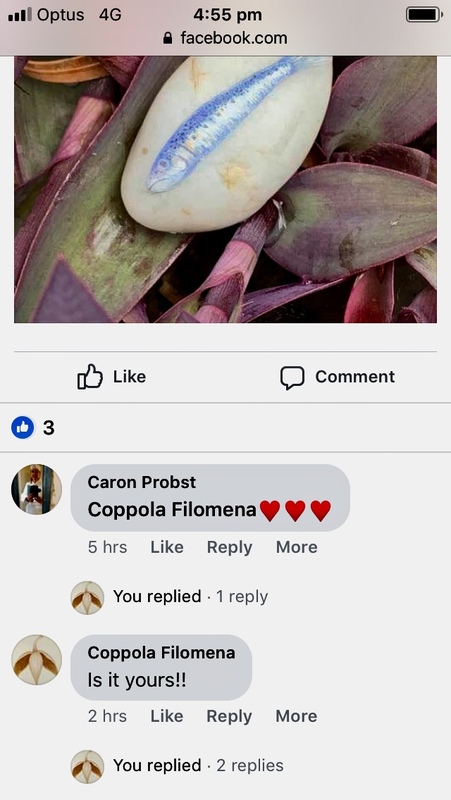 With its new owner, what a great ending for me and beginning for Caron and the fish. 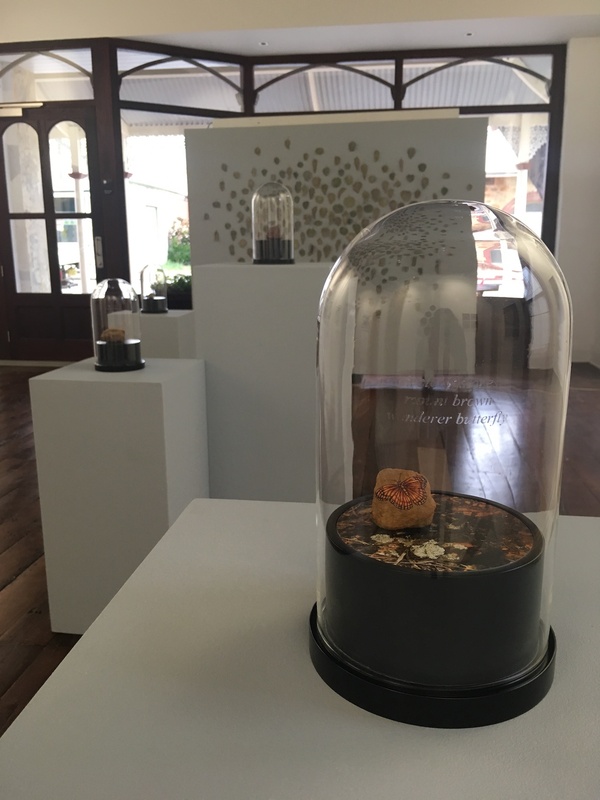 Circle of Stones was a group exhibition with Merle Narkle-Goodwin, Holly Story, Janelle Mendham, Nikala Bourke, Sujora Conrad and Lana de Jager. 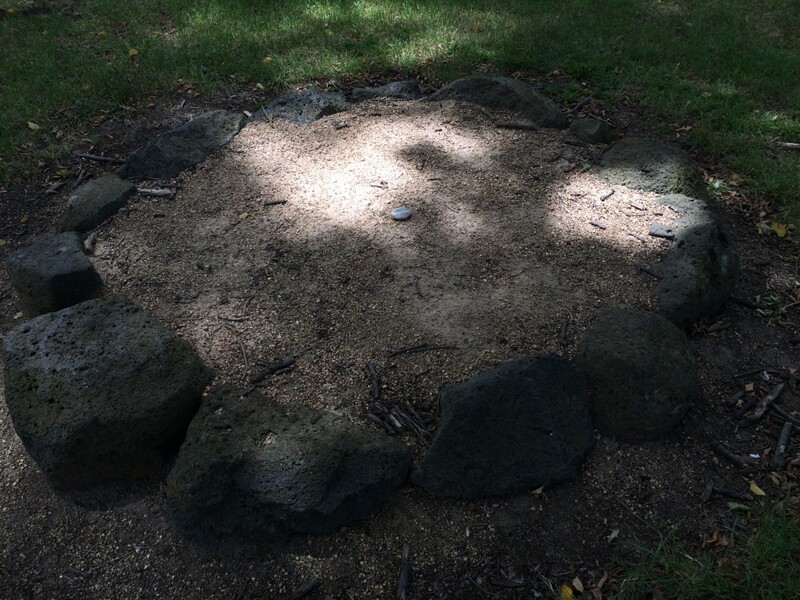 Circle of Stones is a connection to place and time as it relates to the earth’s rotation around the sun and the feminine history, which celebrates mother earth and her diversity. 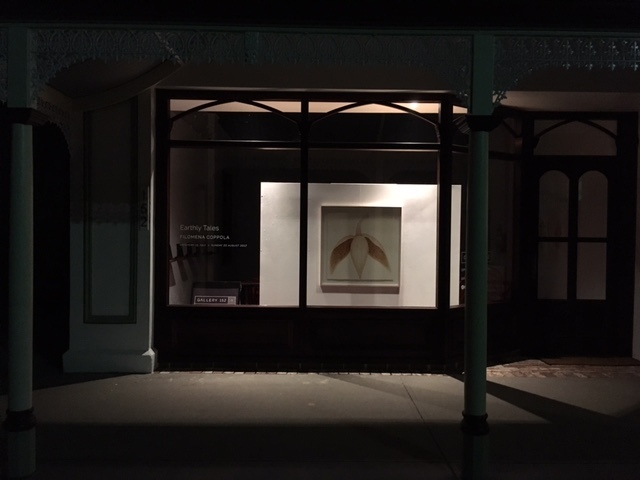 Filomena Coppola was Artist in Residence at Gallery 152, York WA in 2017. 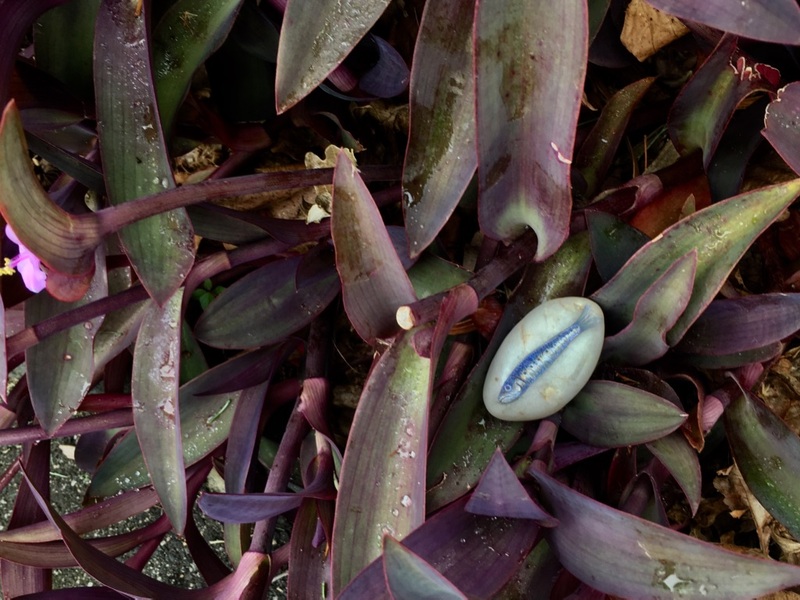 During this time she connected with residents who shared their experience of the area and introduced her to its natural beauty and history. Coppola was particularly interested in the Avon River and exploring the changes that have occurred with settlement and farming. 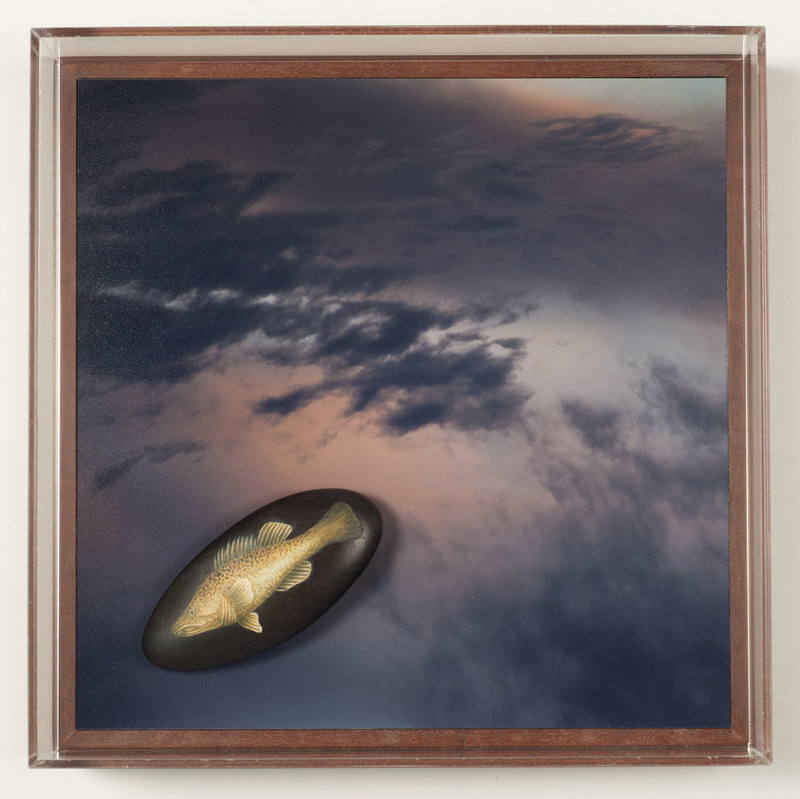 There are two works which are specific to this water system where she painted two species of fish which are no longer found in this section of the river – the yellow eye mullet and the gilgie. Coppola spent time walking and visiting the environment around York to create works specific to place. 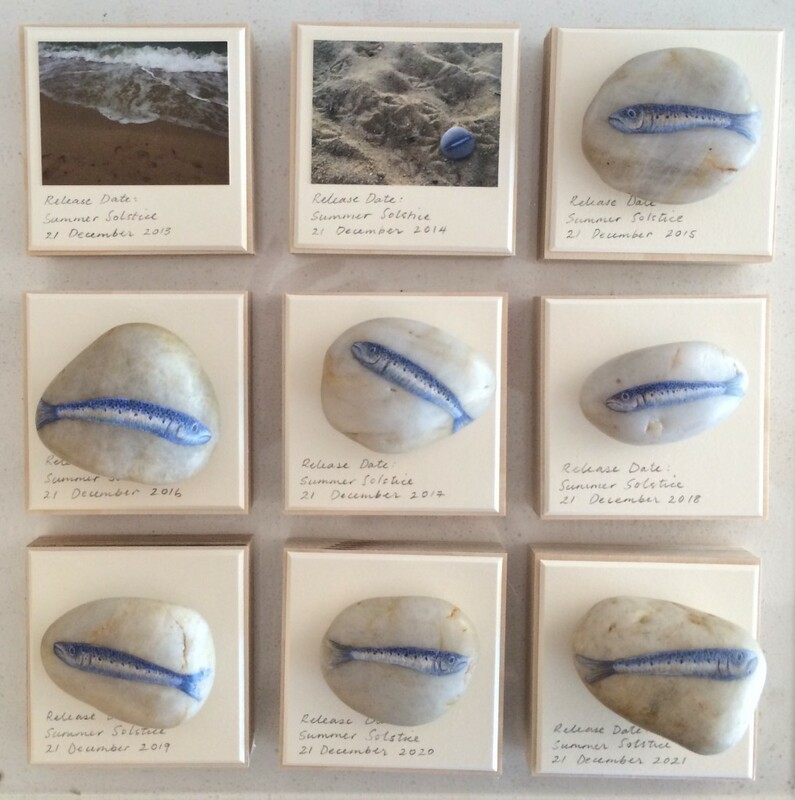 She collected stones on which to paint and photographed the areas where the rocks were selected. 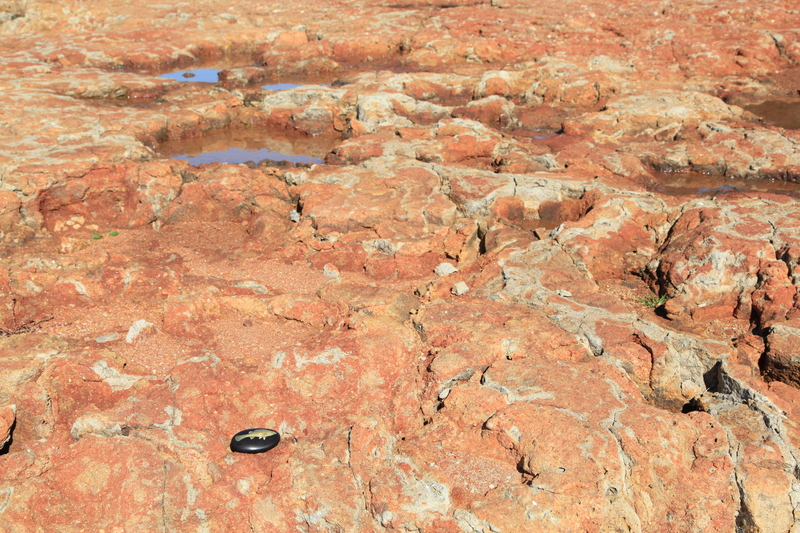 Coppola met with Ballardong Noongar elder, Merle Narkle-Goodwin, who enabled her to ensure that none of the rocks selected came from sacred sites or locations with historic cultural significance. Coppola’s connection to place was informed and deepened by the friendships, locations and experiences created during her residency. 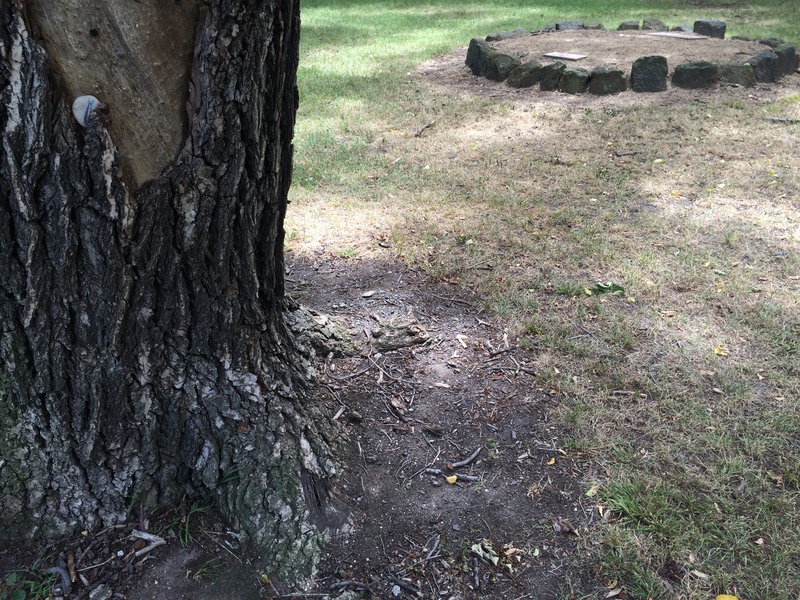 Circle of Stones celebrates these connections. 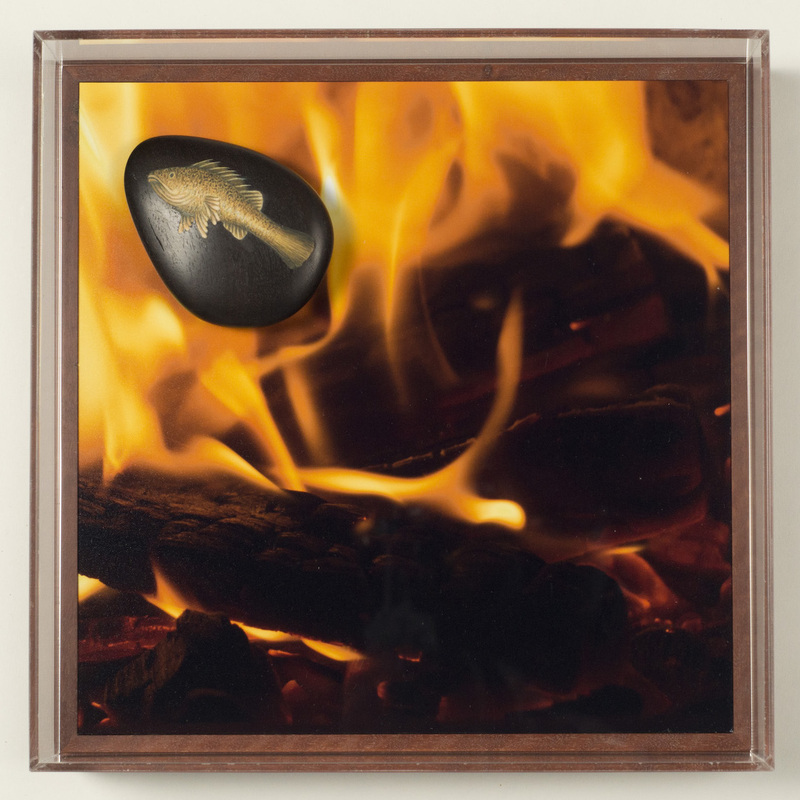 The wall piece, Fish out of Water, Mildura – Melbourne is an environmental work that acknowledges distance, familial ties and cultural dislocation. 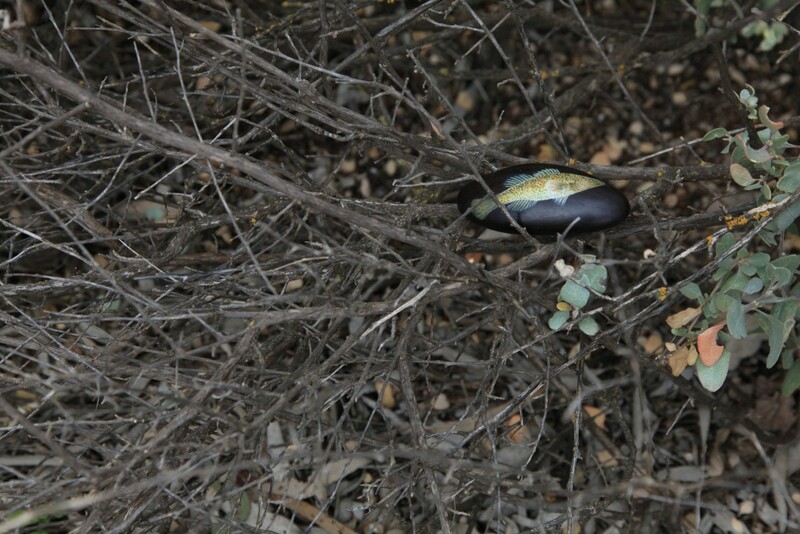 The sardine is the fish out of water, culturally displaced and relocated in the Australian environment. The letters j, k, w, x and y represent the slippage in communication both culturally and literally as these letters are not part of the Italian alphabet. 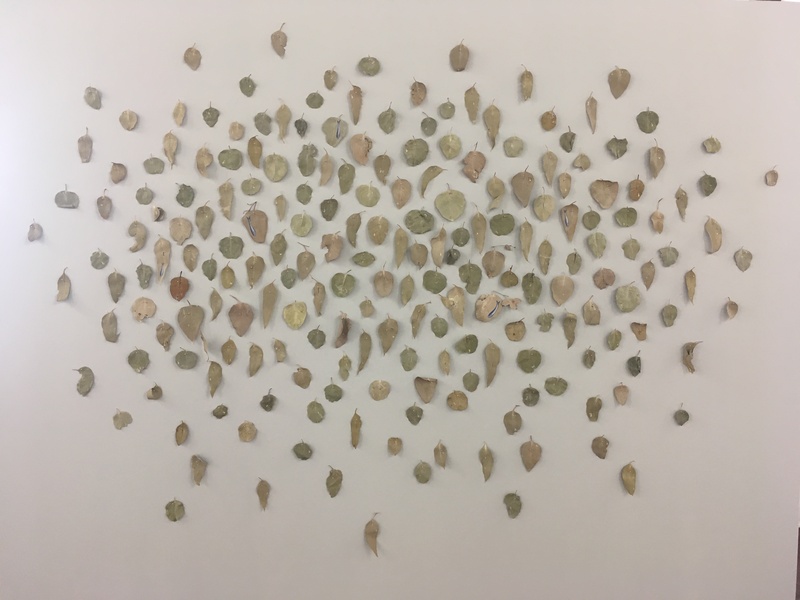 It is a subtle work that responds to the viewers movement as the leaves rustle within the air created by motion. 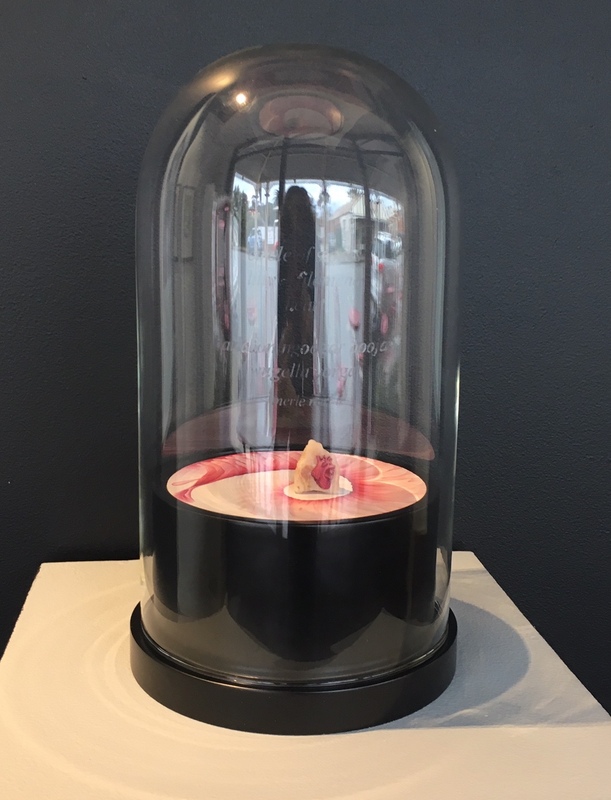 Its apparent fragility is an acknowledgment of the sensitivity of language, culture and interpretation. 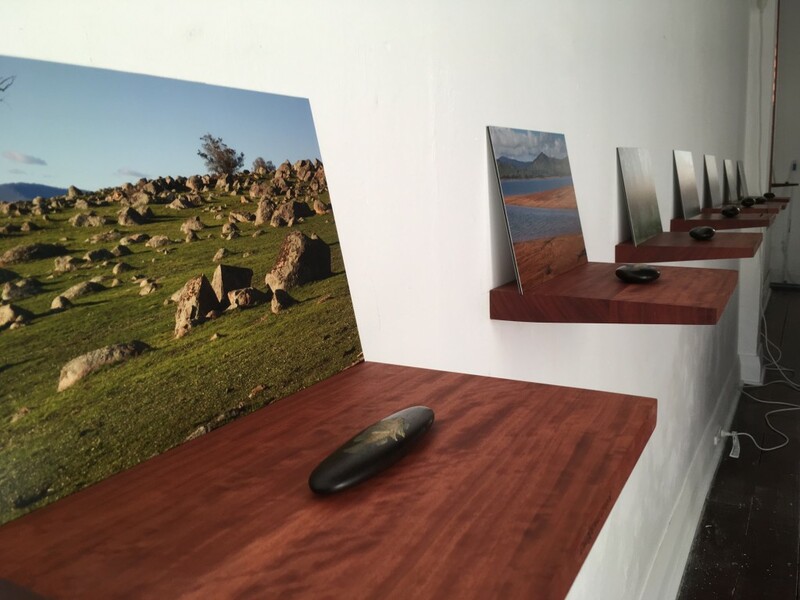 Installation View, Circle of Stones, Gallery 152, York, WA. 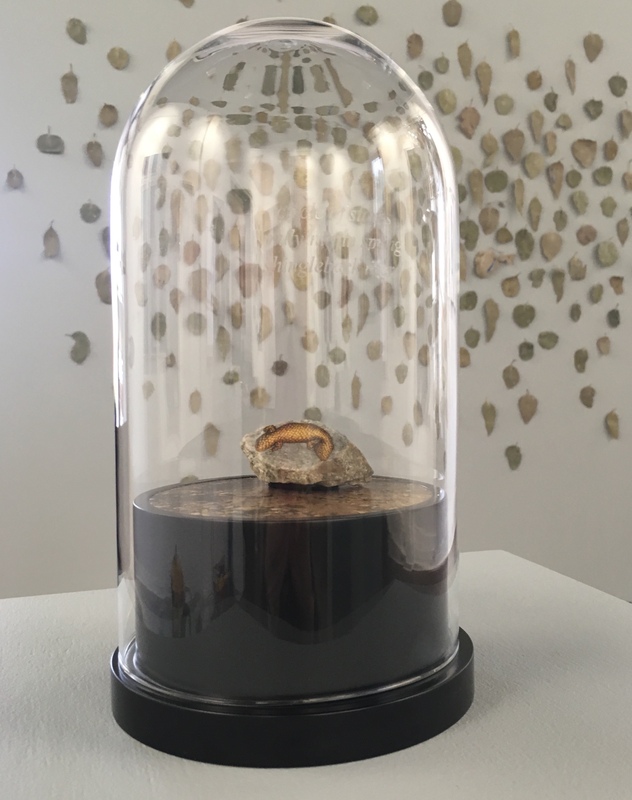 In the foreground, circle of stones, avon river, gilgie, River rock, gouache, colour photograph on dibond, wooden base and etched glass dome 15d x 27h cm. 2017-18. 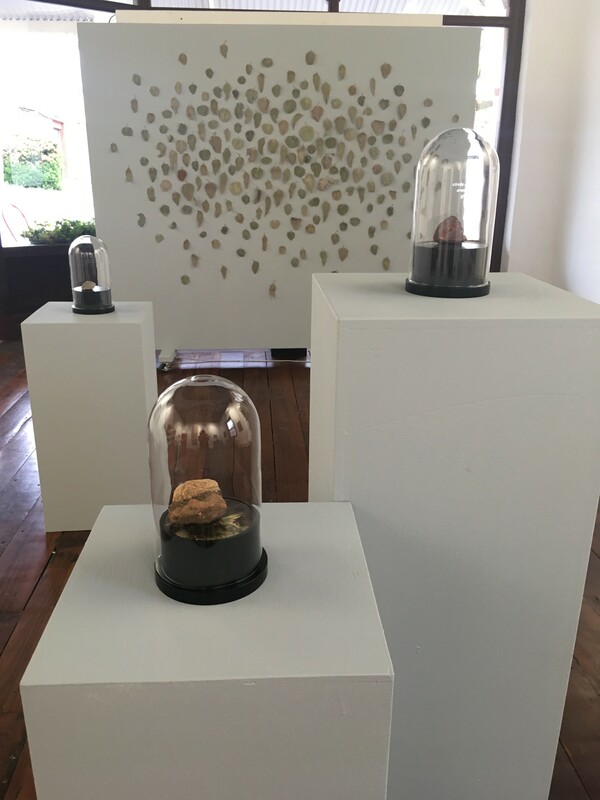 Installation View, Circle of Stones, Gallery 152, York, WA. 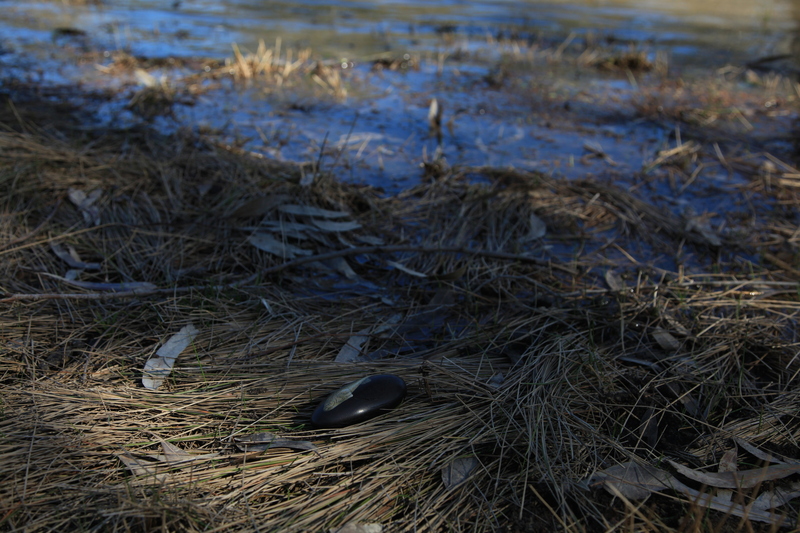 In the foreground, circle of stones, ballardong pond, yellow eye mullet. 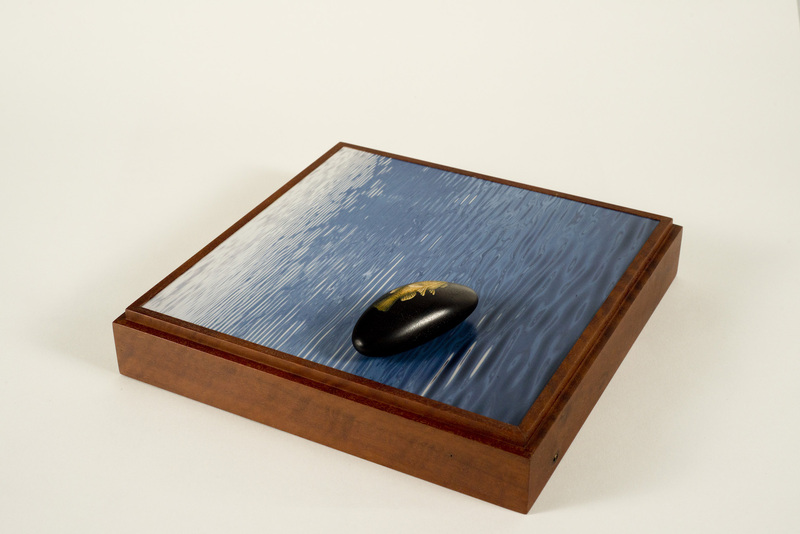 River rock, gouache, colour photograph on dibond, wooden base and etched glass dome 15d x 27h cm. 2017-18. 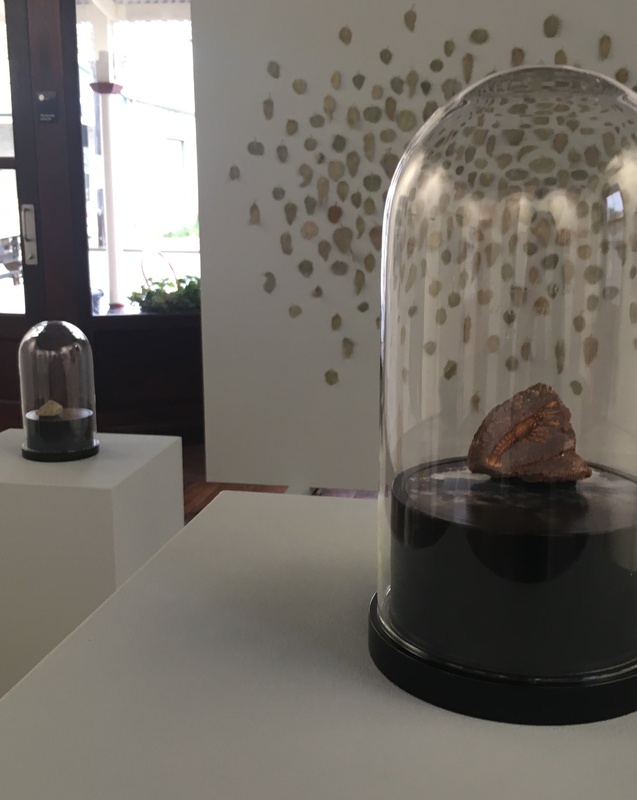 Installation View, Circle of Stones, Gallery 152, York, WA. 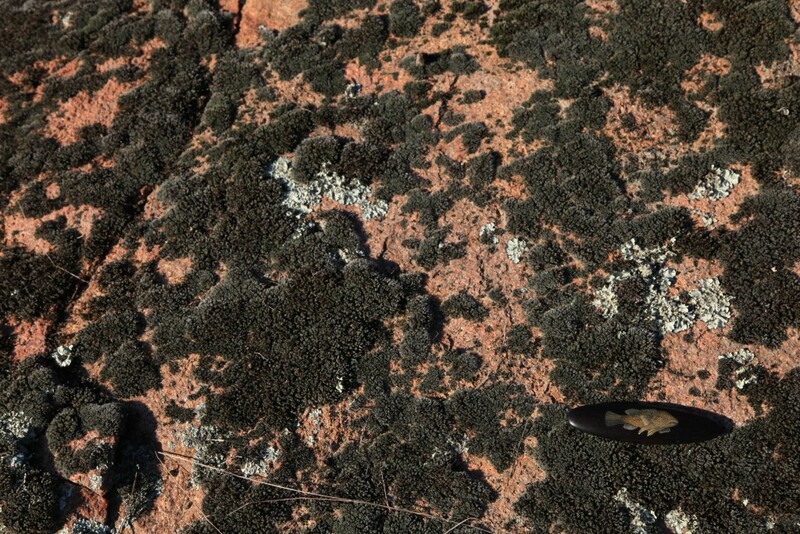 In the foreground, circle of stones, mulyininjin spring, shingleback lizard. 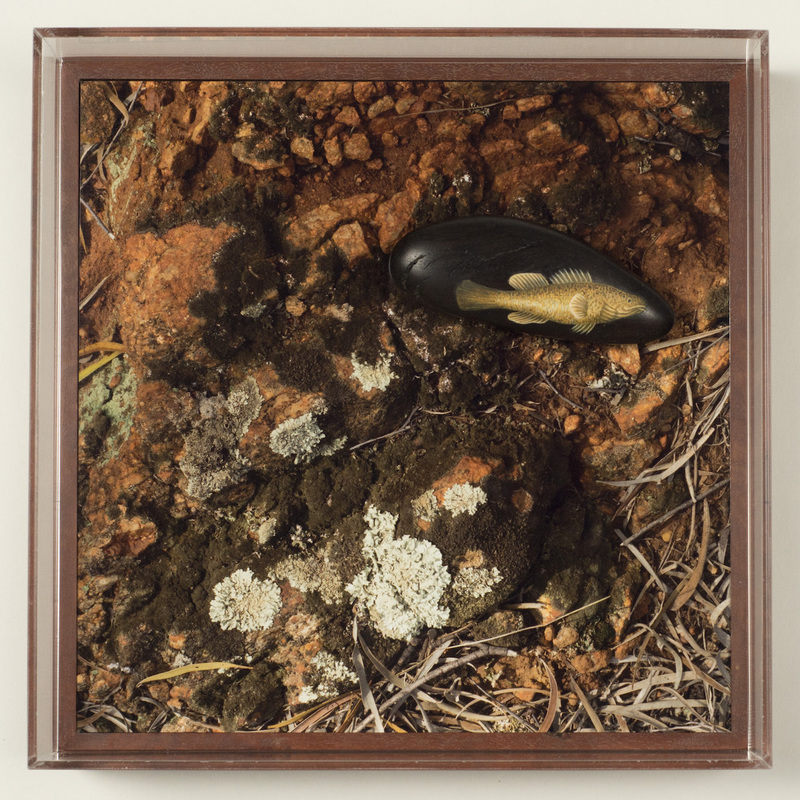 Spring rock, gouache, colour photograph on dibond, wooden base and etched glass dome 15d x 27h cm. 2017-18. 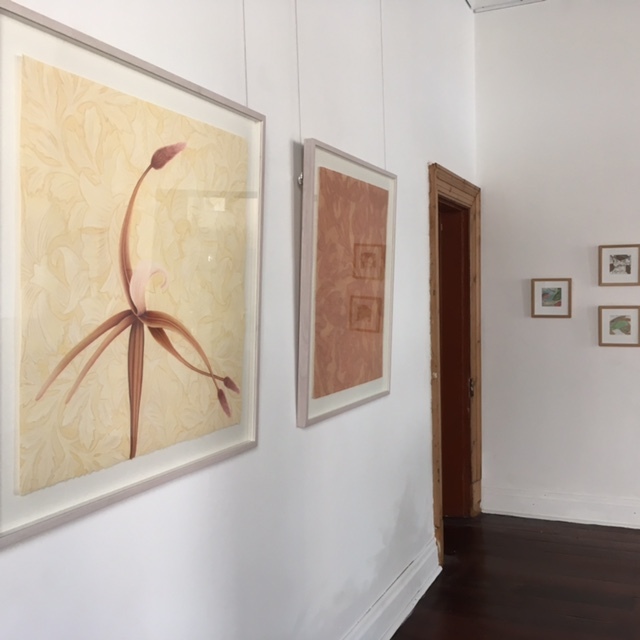 This new series of works was exhibited as part of Ilona Nelson’s project, This Wild Song at Hawthorn Town Hall. 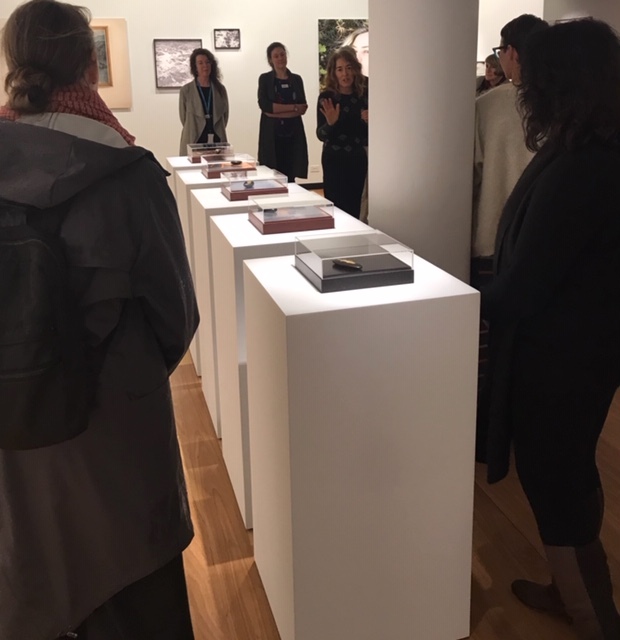 The exhibition featured 26 portraits of female artists along with their artwork. Such a powerful commitment to the representation of women in the arts and it was an honour to be part of this exhibition. 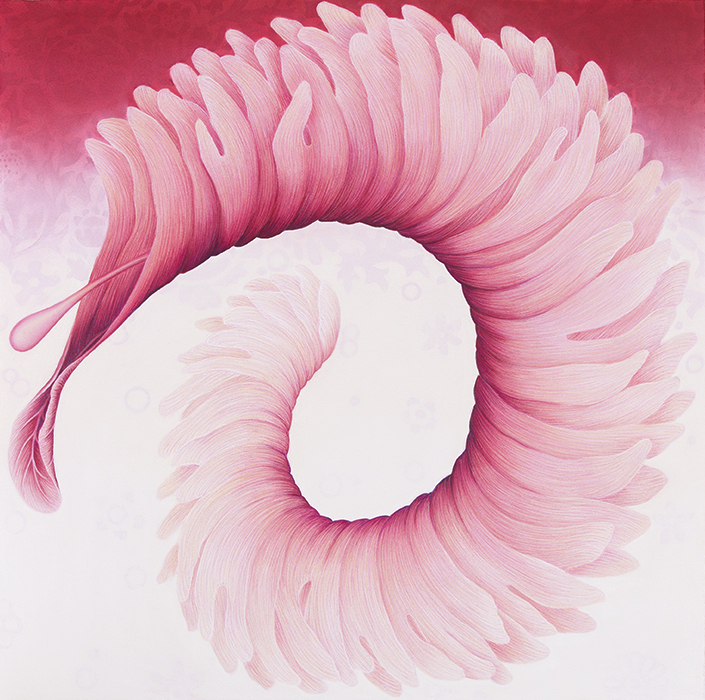 Filomena Coppola has been exploring the issues of identity, place, the role of women and finding a sense of belonging. 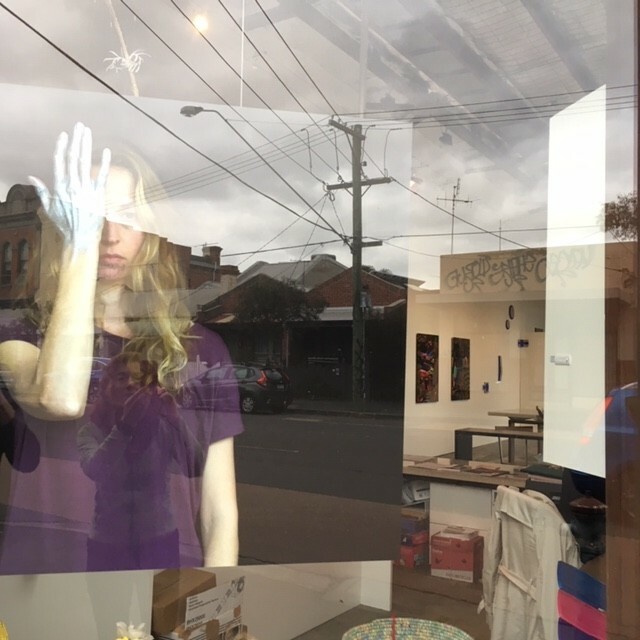 Born in regional Victoria to Italian immigrants she explores cultural duality and the space between. 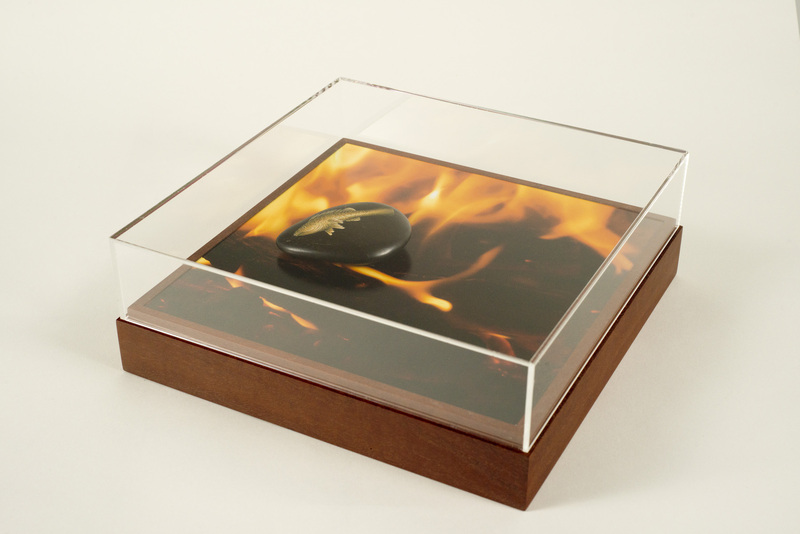 Elementals searches for a sense of place and identity, which feels more inclusive. For Coppola, this was a connection with the feminine, mother earth and matriarchal lore. Elementals engages with an awareness that we are part of this turning world and our imprint does have a cumulative affect. She asks us to walk barefoot and become aware that we are part of a continuous cycle of birth, life, death and regeneration. We physically embody the elements, are surrounded by them and need to be responsible contributors to this continuum. 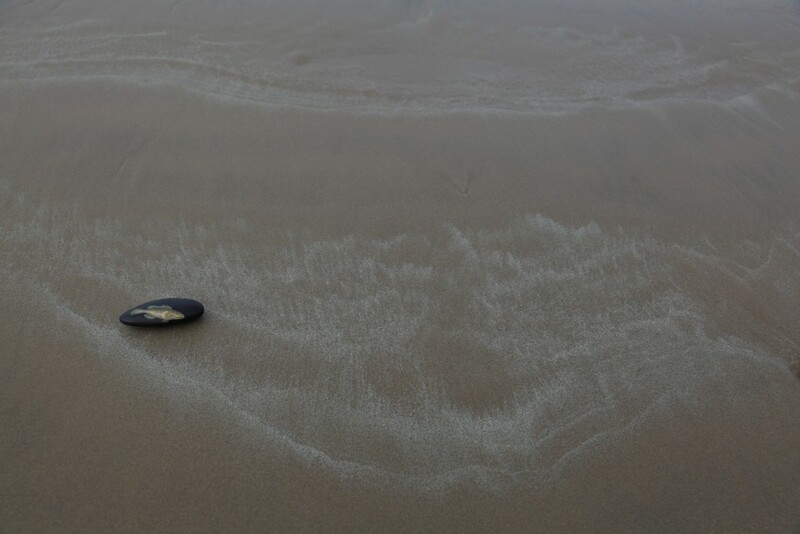 Elementals connects with Earth, Water, Air, Fire and Spirit, both in nature and in a personal context. 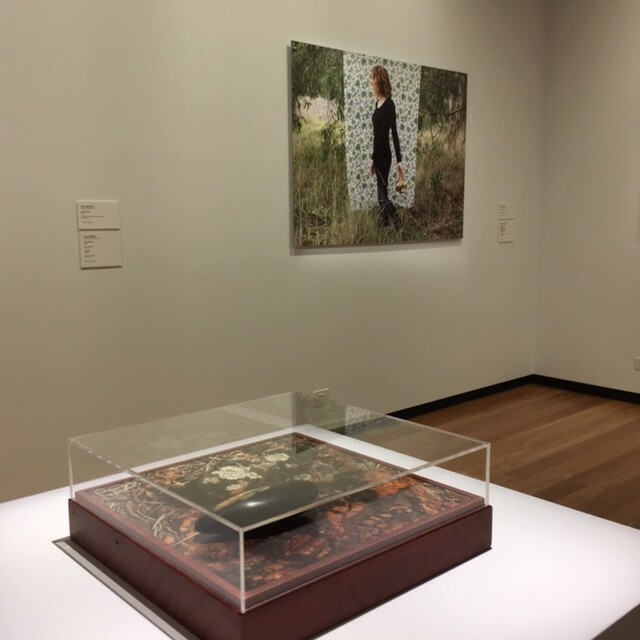 This work has forced Coppola out of the studio to engage with the environment, visiting places important to her and to examine the notion of time, as her attempts to capture the photographs were thwarted by nature herself. Reminding Coppola that lineal time are of no concern to the elements and the natural movement of the seasons. 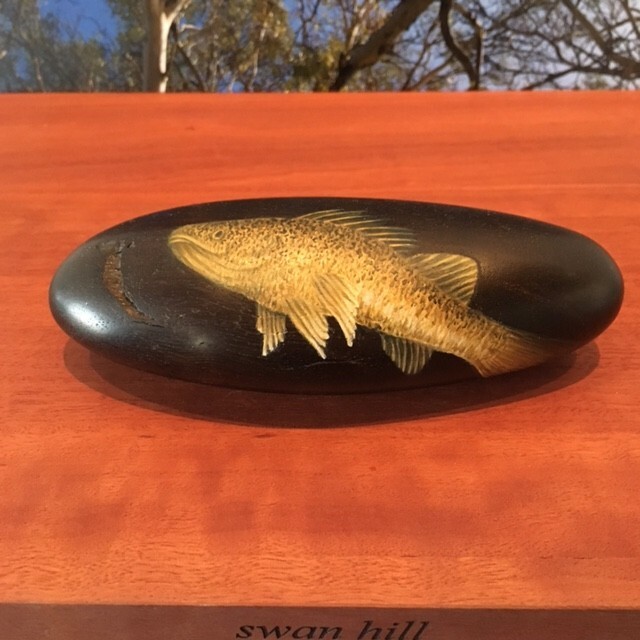 The pebble forms are made from petrified redgum which are carbon dated to between 5000 and 9000 years, sourced from the Murray River and painted with a Murray Cod – this river meanders through her town of birth. Elementals is a reminder that we inhabit a small moment in time, yet how we utilize this is critical to what we leave behind. Colour is often dismissed as having a purely decorative function. 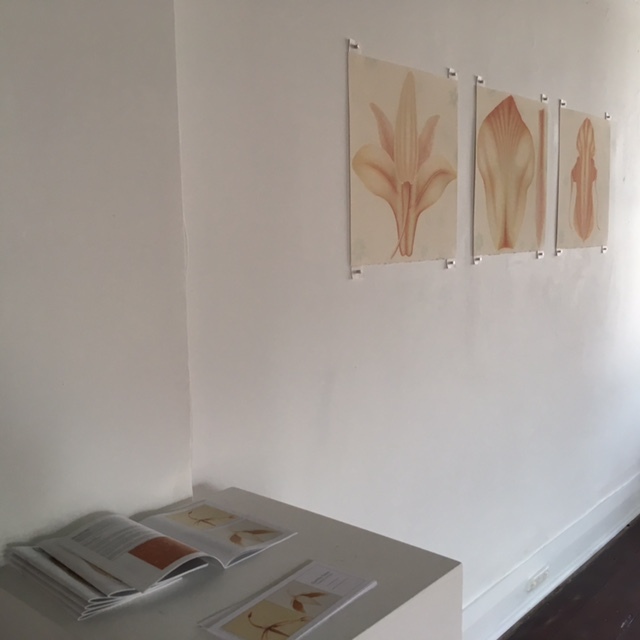 In this exhibition colour is used to describe cultural oppositions, emotional states, transformation, self sensoring and the experience of place. The work presents a socially acceptable surface of creative expression, a thin veil which if penetrated reveal five individual her-stories. Stories, which are unique to the individual but shared in experience by many. 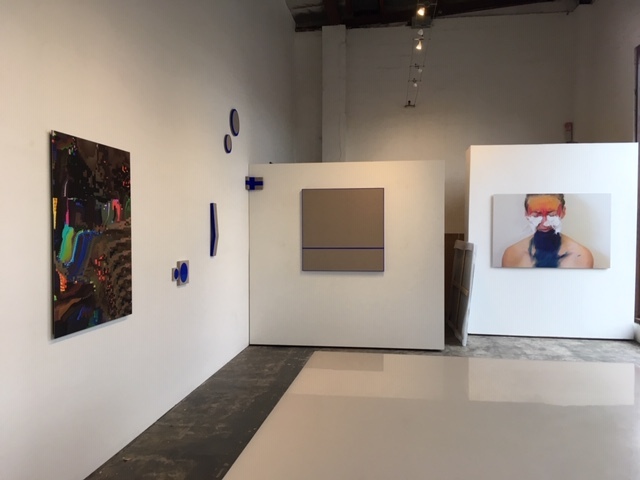 In this exhibition, colour is a reflector which projects the experience and creates a space for immersion, conversation and reciprocity. 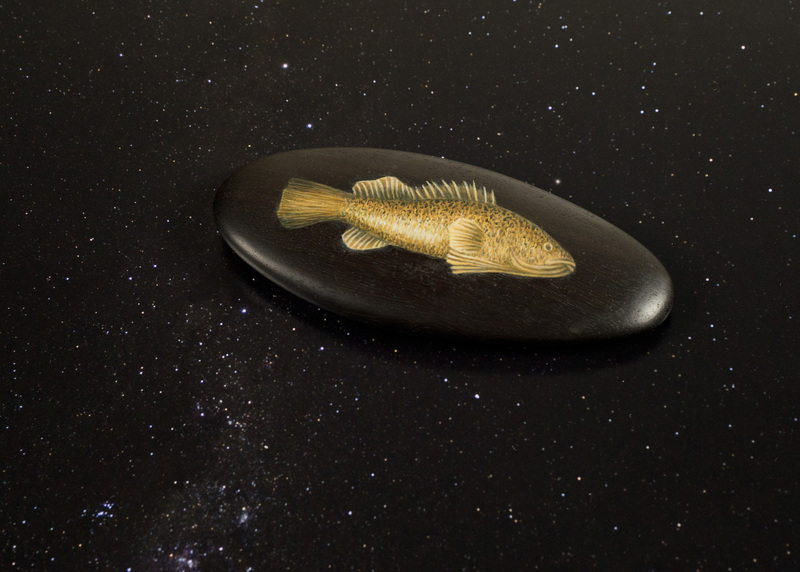 Sabbat Fish Release from 2014 surfaces in 2017. I received a Face Book post asking me if this was one of mine. And, yes it is one of mine. 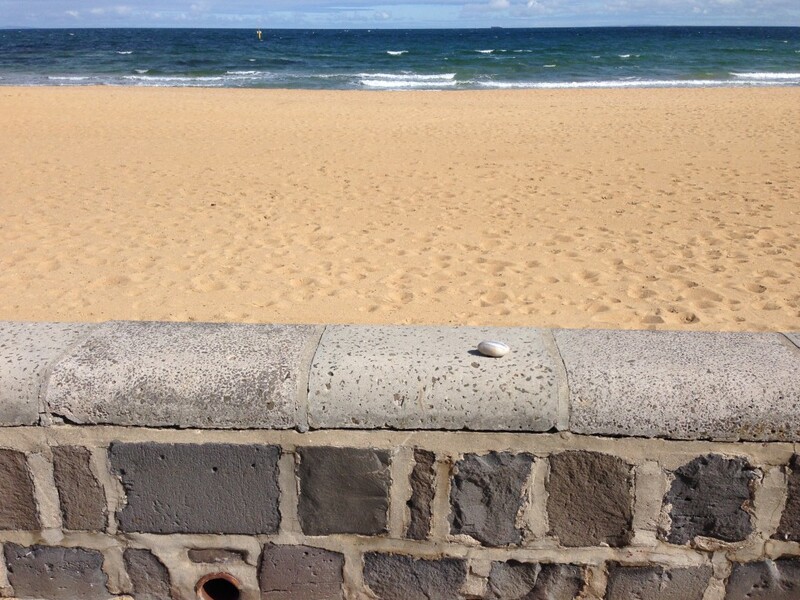 I left it at Spring Equinox, Williamstown Beach, 20 September 2014. I asked the finder if she could share the story of how it came to her hand. 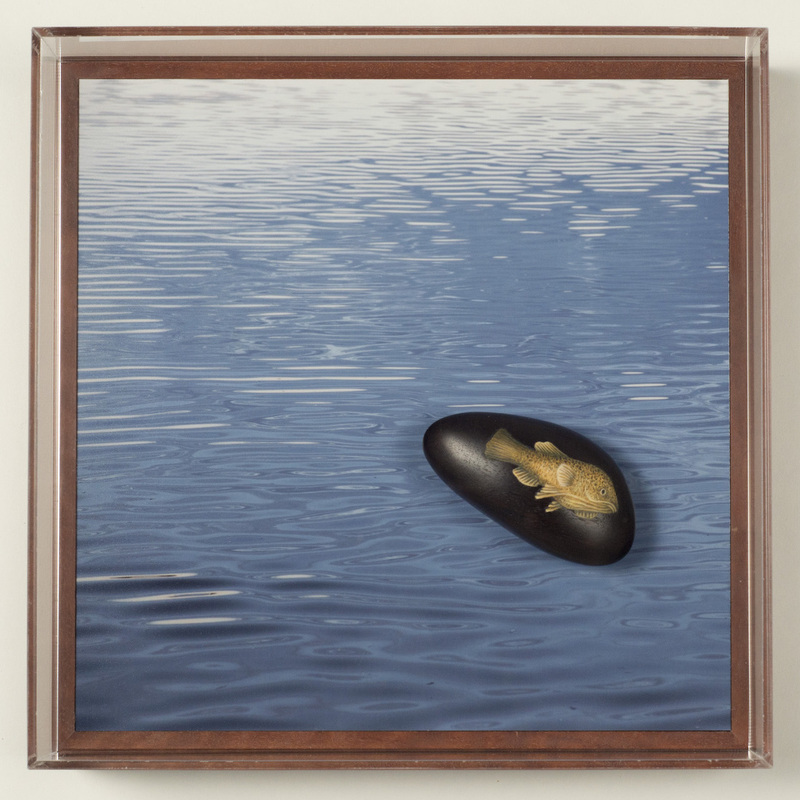 Fish out of Water – Sabbat Releases. 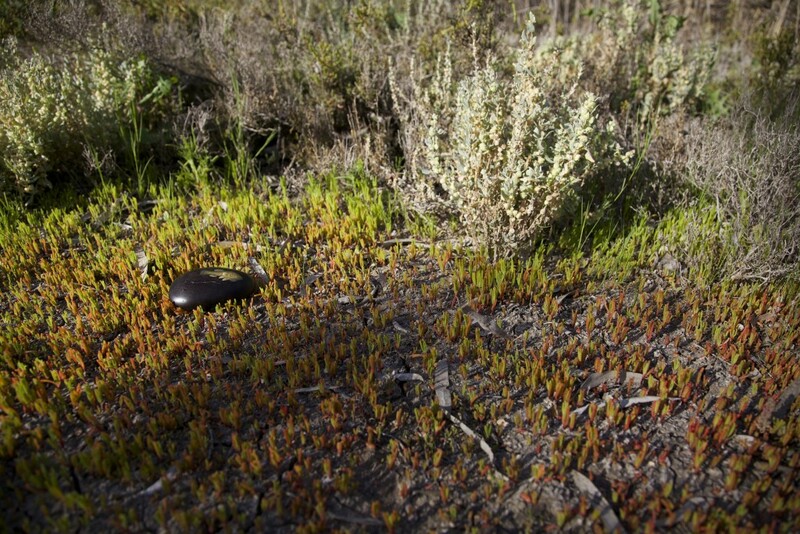 Spring Equinox, Williamstown Beach, 20 September 2014. 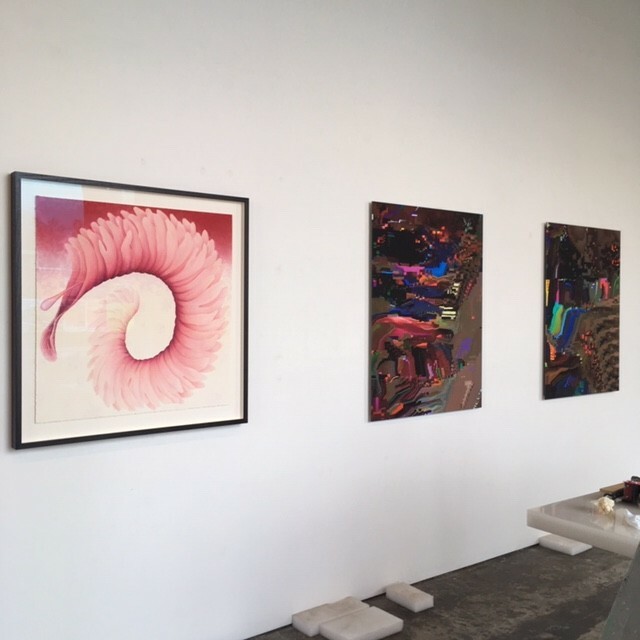 Earthly Tales brings together three bodies of work to tell a story about migration, the role of the feminine, the environment and place. 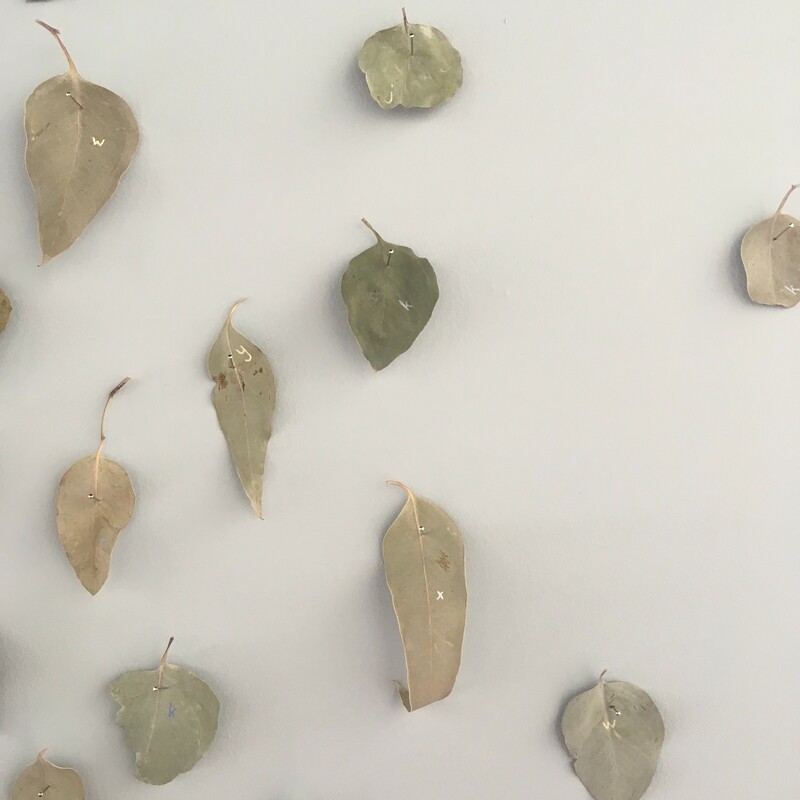 The works include Fish out of Water – Murray Cod, pastel drawings from the Wallflower Series and collages from the Fish out of Water intervention project which features the sardine painted on gum leaves. 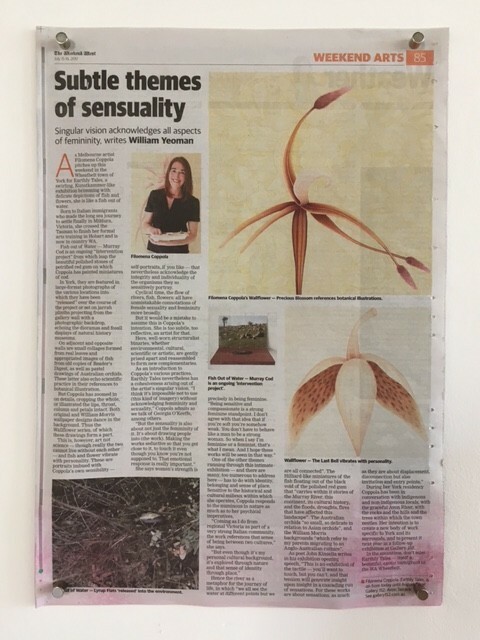 This exhibition is my first in Western Australia and introduced my work to a new audience and in a new environment. 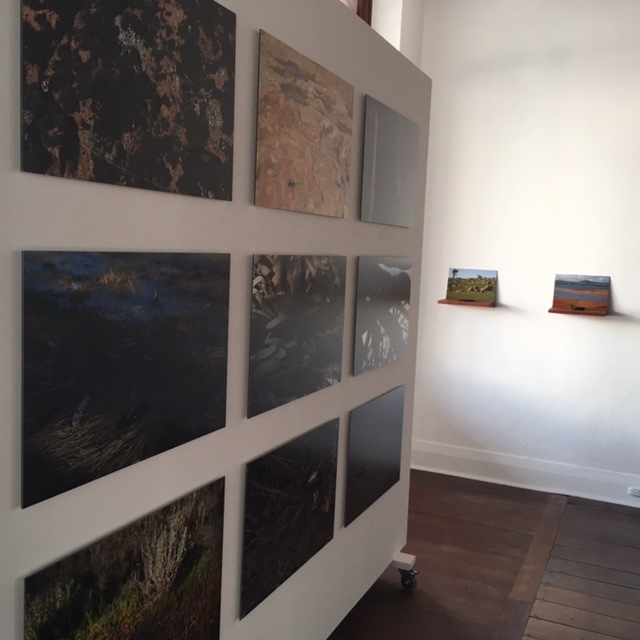 I was particularly interested in showing Fish out of Water – Murray Cod in its entirety for the first time and to gauge its response amongst a community that is reliant and aware of its own river system, the Avon River. 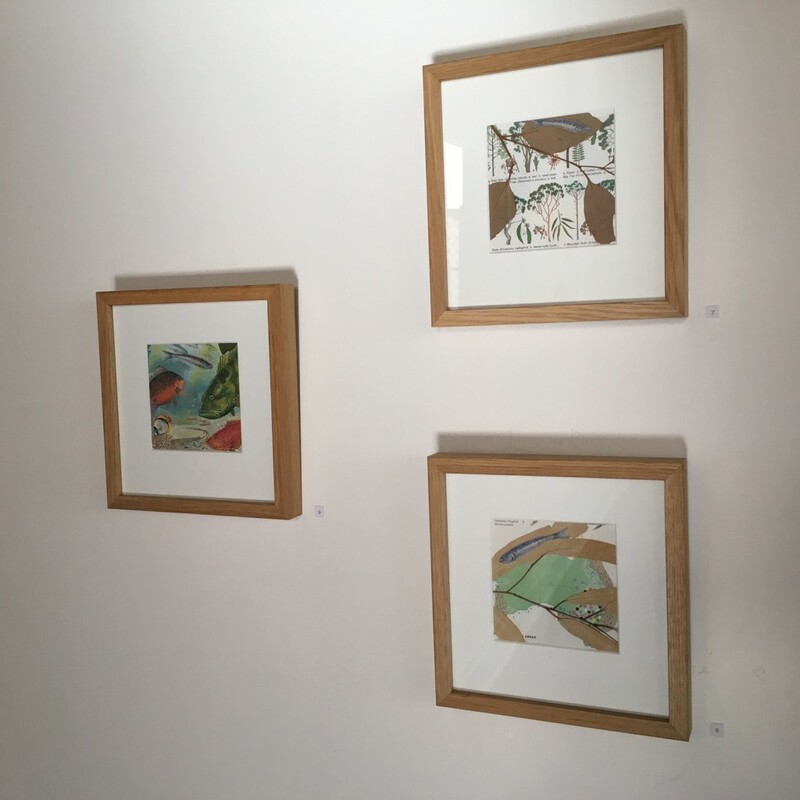 This exhibition was also combined with a two week residency in which I based on the Avon River and the environment. This will result in an exhibition of works in York in October, 2018. 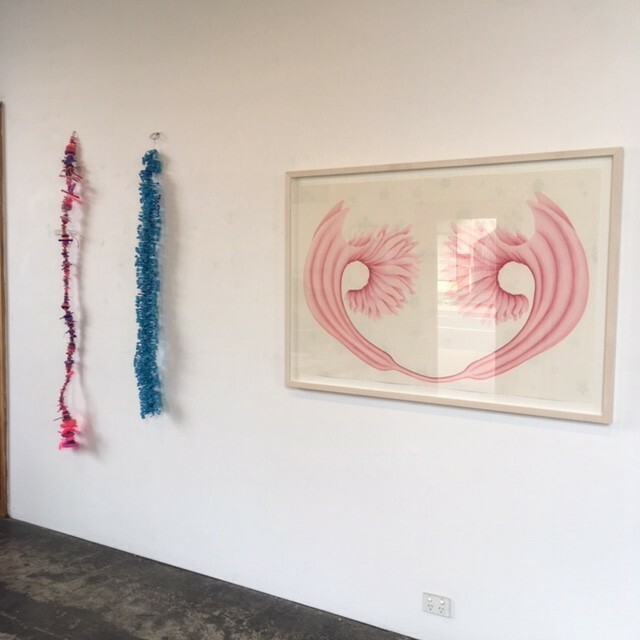 Installation View – Wallflower – Precious Blossom, pastel on paper, 80h x 80w cm, 2010, Wallflower – Meow, make me purr, pastel on paper, 80h x 70w cm, 2011. Fish out of Water – A Visitor, gouache, and pages from “The Reader’s Digest Complete Atlas of Australia” 1968 edition, 12 x 12 cm, 2014. 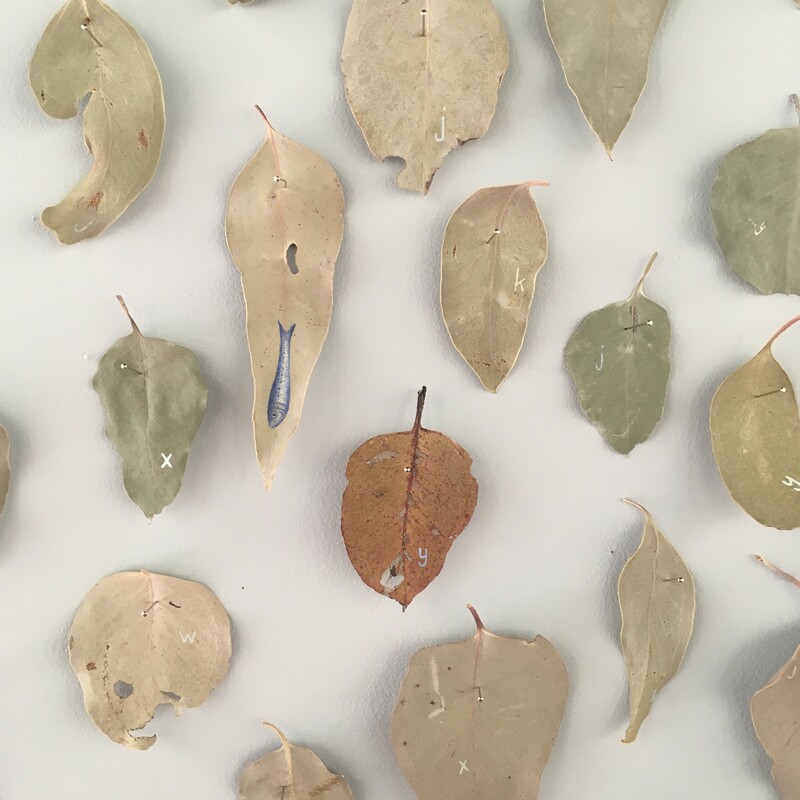 Fish out of Water – Eucalypt, gouache, gum leaves, and pages from “The Reader’s Digest Complete Atlas of Australia” 1968 edition, 12 x 12 cm, 2014. 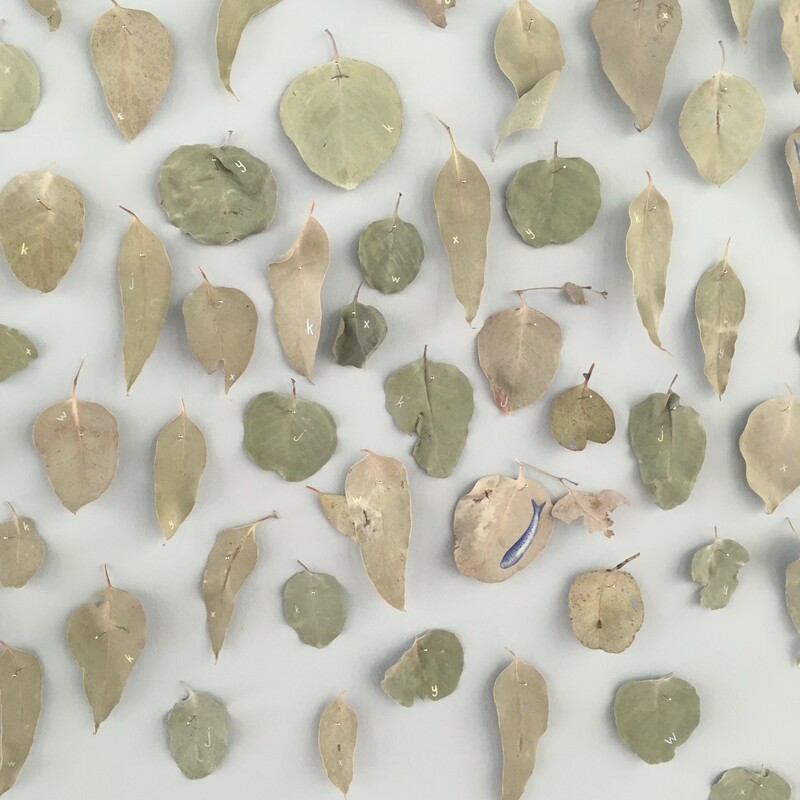 Fish out of Water – Fishing, gouache, gum leaves, and pages from “The Reader’s Digest Complete Atlas of Australia” 1968 edition, 12 x 12 cm, 2014. 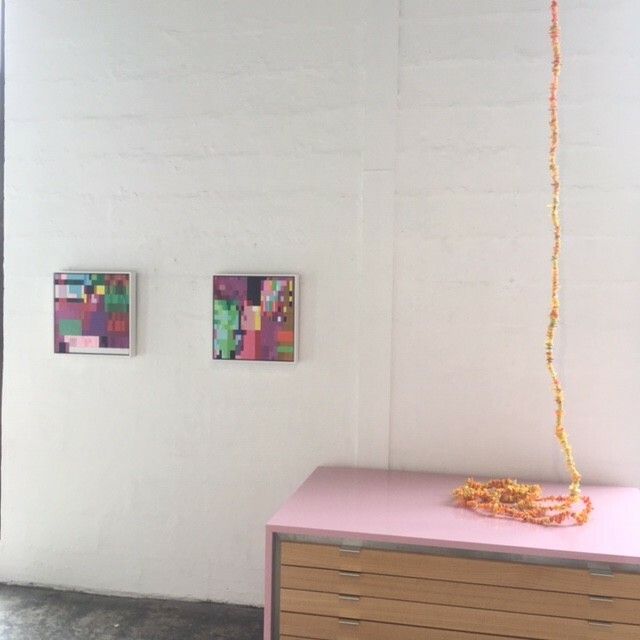 Installation View – Fish out of Water – A Visitor, gouache, and pages from “The Reader’s Digest Complete Atlas of Australia” 1968 edition, 12 x 12 cm, 2014. 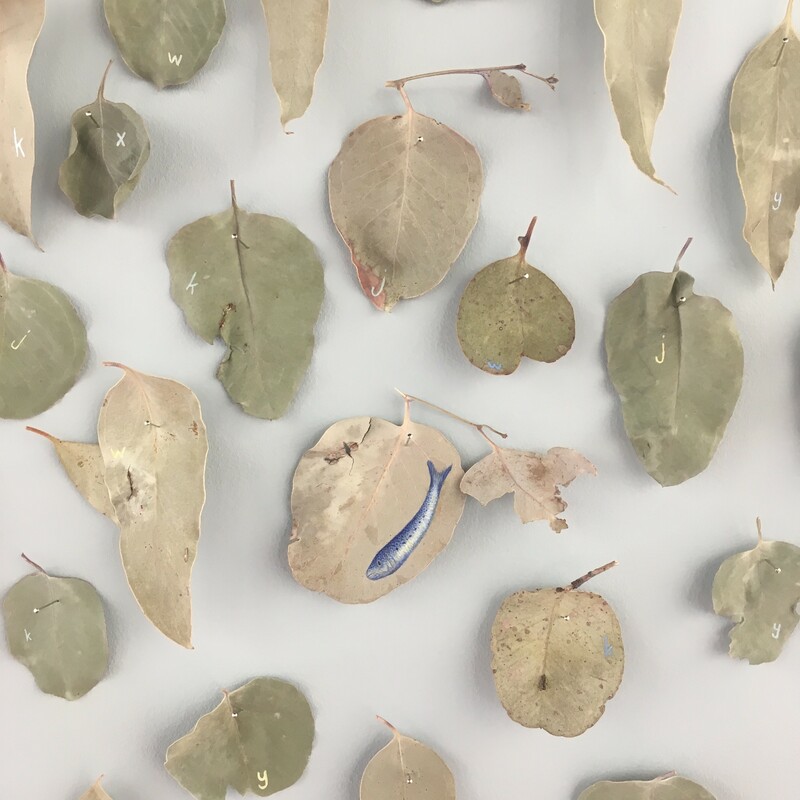 Fish out of Water – Eucalypt, gouache, gum leaves, and pages from “The Reader’s Digest Complete Atlas of Australia” 1968 edition, 12 x 12 cm, 2014. Fish out of Water – Fishing, gouache, gum leaves, and pages from “The Reader’s Digest Complete Atlas of Australia” 1968 edition, 12 x 12 cm, 2014. 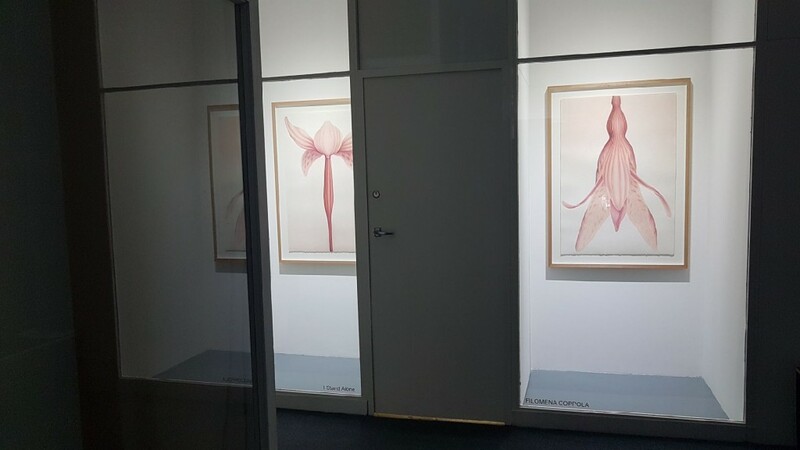 Installation View, Wallflower – I can feel you watching me #1, pastel on paper, 50 x 50cm, 2013. Wallflower – I can feel you watching me #2, pastel on paper, 50 x 50cm, 2013. 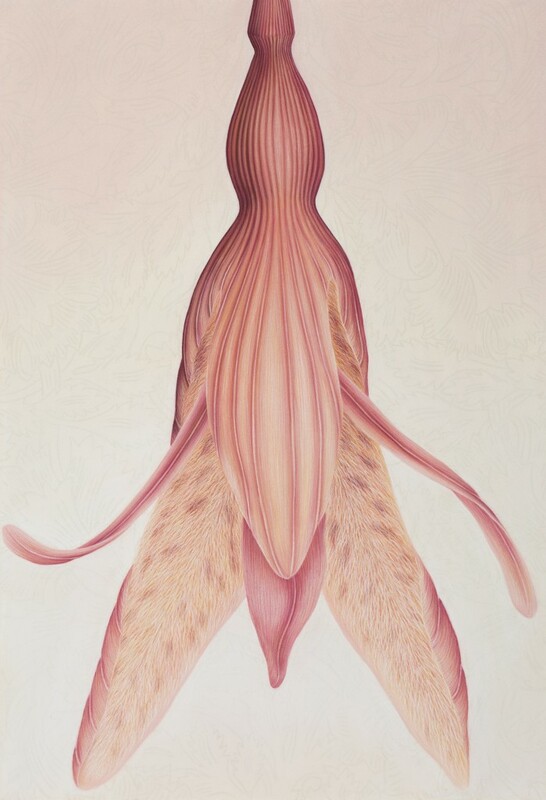 Wallflower – I can feel you watching me #3, pastel on paper, 50 x 50cm, 2013 with Circuit Magazine in the foreground. I released this fish on December 21, 2016 in the Flagstaff Gardens on a very early summer morning in Melbourne. As I do every year, I put this image up on facebook and a few weeks later received this lovely message from a friend who is a facebook follower and bought one of my favourite drawings close to twenty years ago!! I tried to post a message on your timeline on Christmas morning but think that the eggnog influenced the output. I forwarded your Summer Solstice post to my son who lives just opposite Flagstaff Gardens in the hope that he could snare me a fish. I’ve wanted one ever since I saw the first release and he is a great geocache finder! He texted later that night to say “no luck, it must have gone – sorry dad”! Oh well. It turns out that he is a great fibber and this was presented to me on Christmas morning. 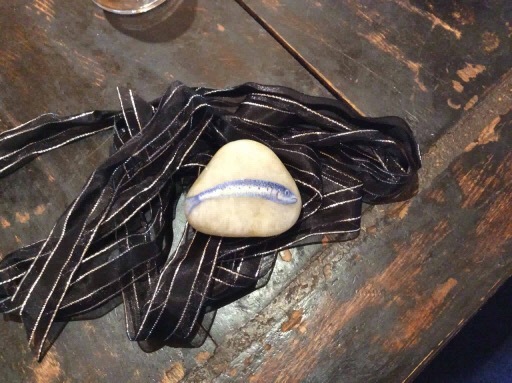 Photo of Fish out of Water – Summer Solstice, 21 December 2016 which was sent to me by the person who discovered this release. I will set the scene a bit more. We only do simple gifts, often quirky and always inexpensive. Imagine if you will, the bottled up excitement of a loving son saving this for last and watching the surprise and rapture on his fathers face as he realises that dreams sometimes do come true. It was a great family moment! And all due to your vision, skill and enthusiasm. A true example of positive energy building as it expands outward. Happy new year to everyone – I hope that this year builds on the beautiful energy contained in this exchange. 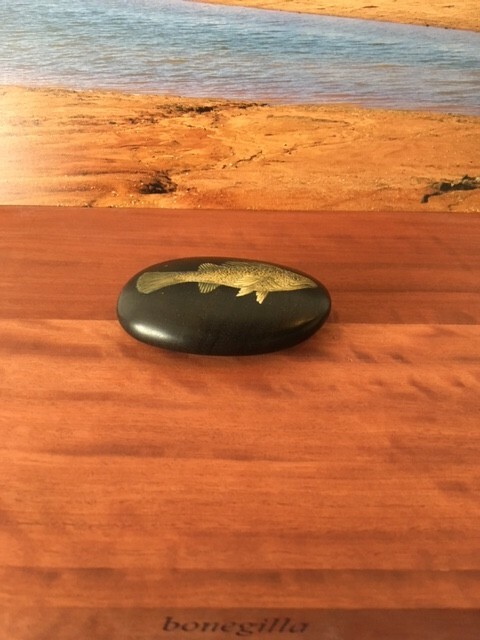 In this work Fish out of Water – Murray Cod, I worked with petrified red gum, which is between 5000-9000 years old and sourced from the Murray River. I made nine organic forms – grinding and sanding the wood into forms that are beautiful to hold. 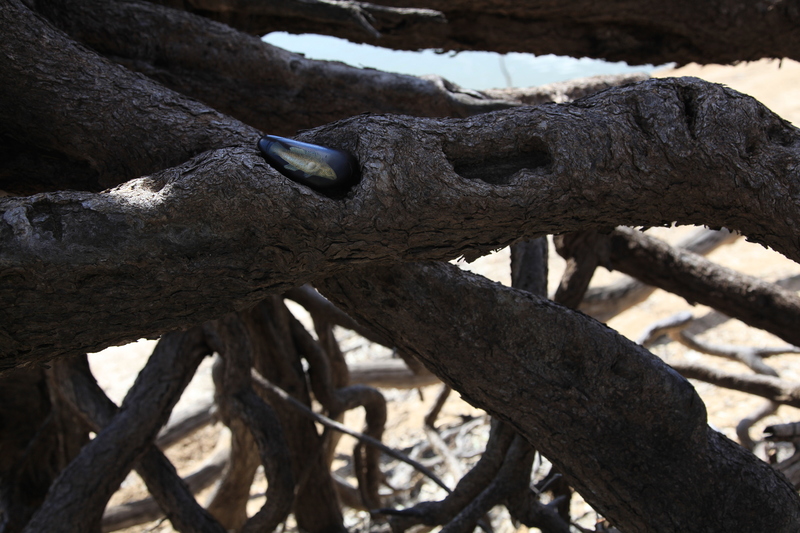 The petrified red gum carries within it stories of the Murray River, this continent, its cultural history, and the floods, droughts, fires that have affected this landscape. 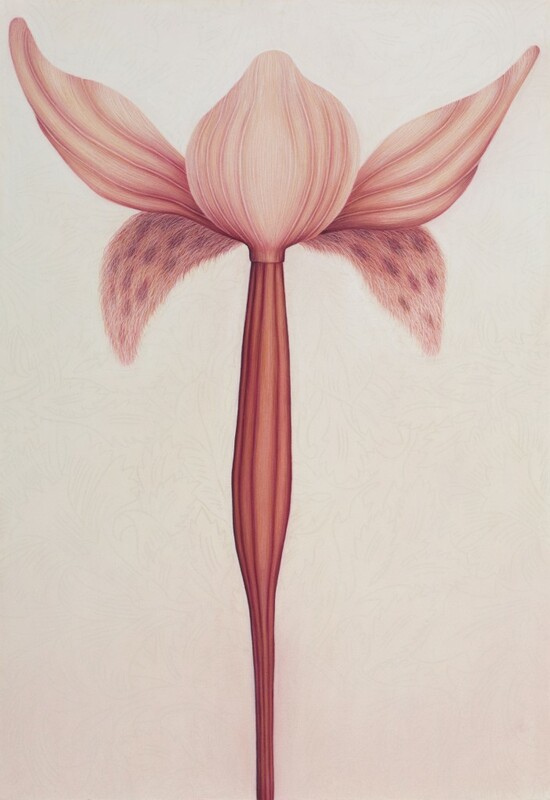 I feel that each organic form vibrates with the history that it carries. 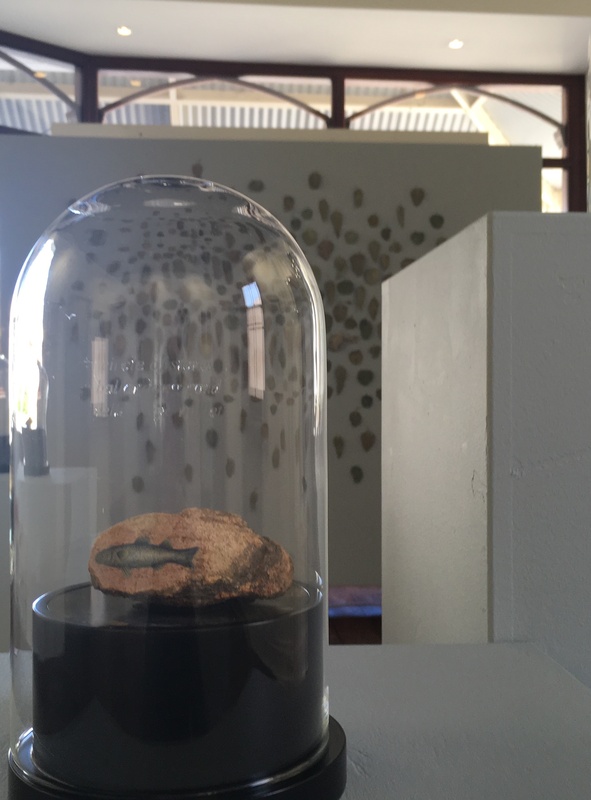 On each, I have painted a Murray Cod – a fish out of water – a comment on this changing continent, its climate, culture and demographic. I then travelled the length of the Murray River and selected nine locations beginning at Cudgewa Creek and ending where the river runs to the ocean at Goolwa. 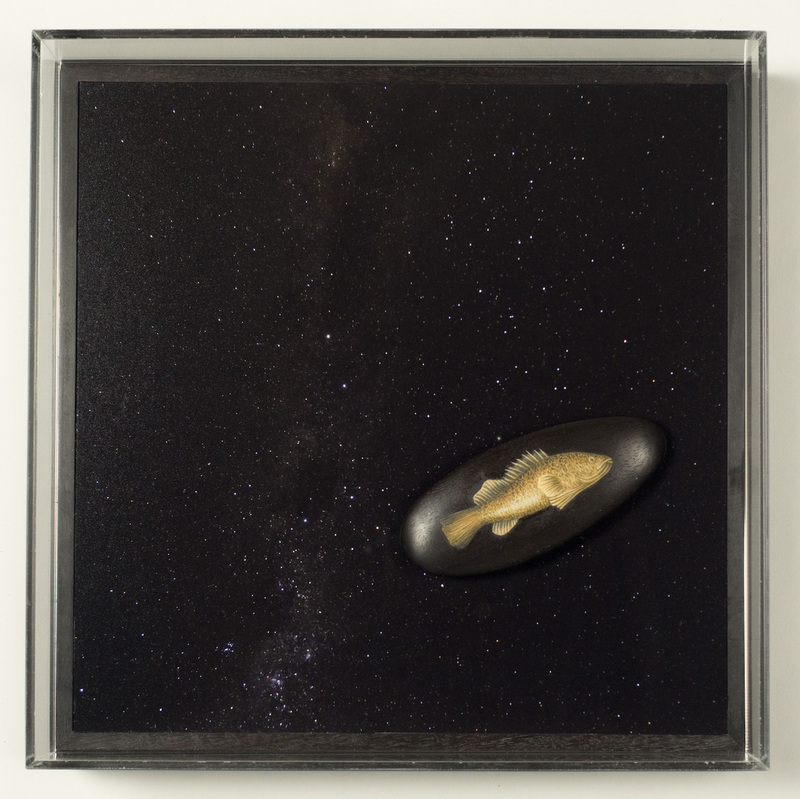 There are two separate bodies of work in this project – one sculptural and one a photographic documentation of each fish specific to its location. 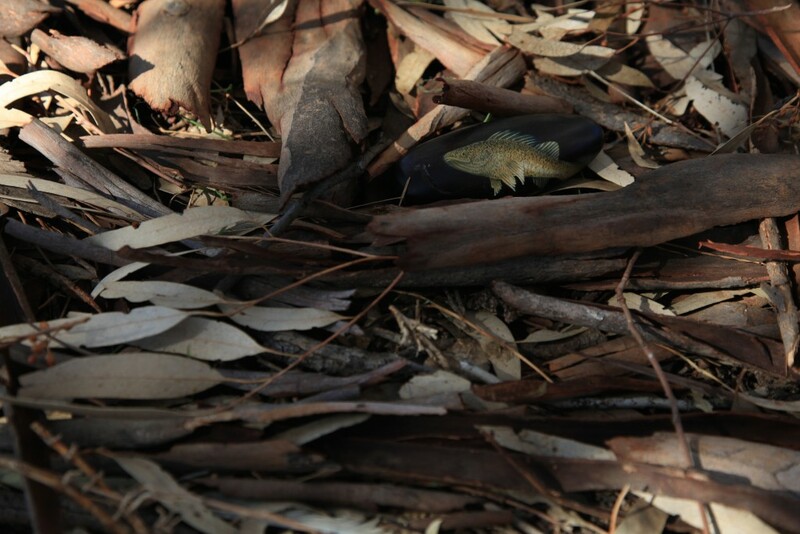 Following are the the nine Murray Cod photographs from Cudgewa Creek, Bonegilla, Boomanoomana, Barmah, Swan Hill, Boundary Bend, Kings Billabong, Lyrup Flats to Goolwa. 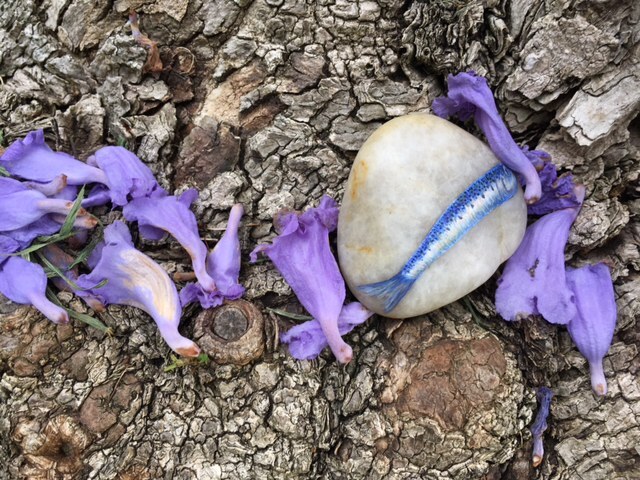 Fish out of Water – Summer Solstice is a development from an intervention project that I began at summer solstice, 2013 and continued through summer solstice 2014. 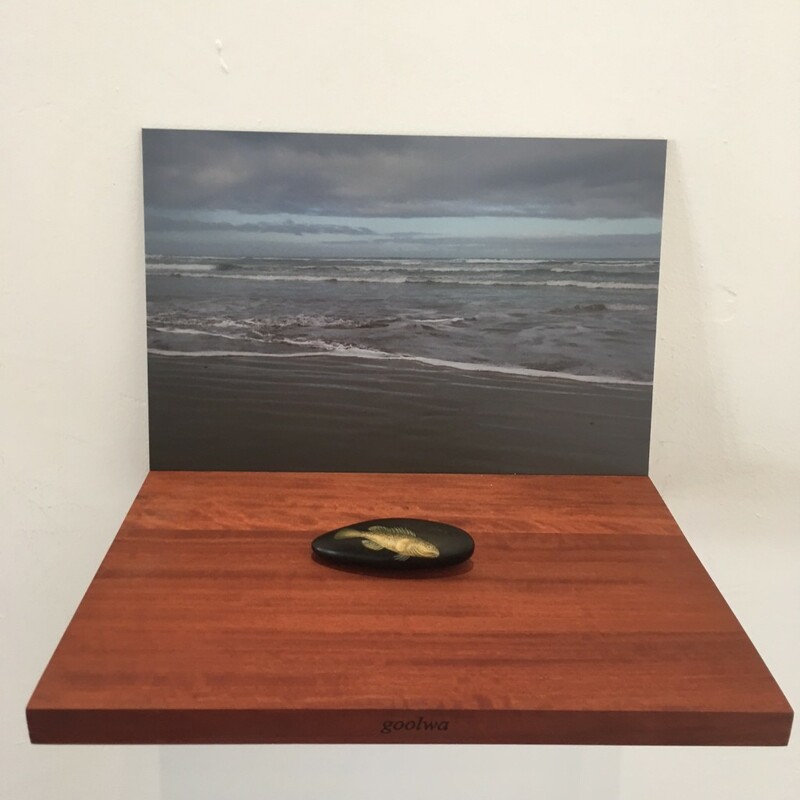 I have been painting a lone sardine on a river pebble – the sardine is a reference to the waters near Sardegna and the Port of Napoli – the port where my parents began their journey to Australia. I then released a pebble at each of the eight sabbats. These represent the earth changes of the summer and winter solstice, the equinoxes and the four cross quarters of Lammas, Samhain, Imbolc and Beltane. 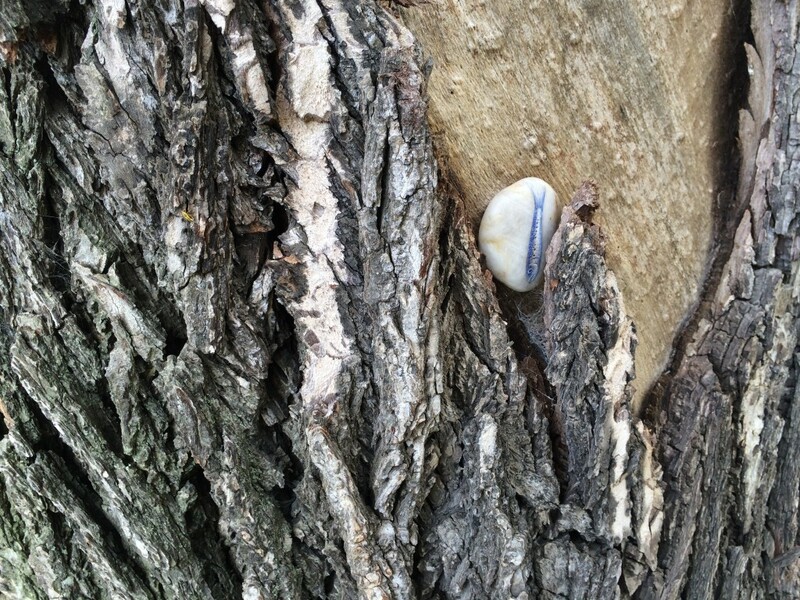 Often associated with pagan festivals, I am acknowledging this history as well as connecting with the earth changes through out the year; the seasons, light and my own connection to place. The first fish was released on summer solstice, 21 December 2013 at Elwood Beach. It was released at the edge of the breaking waves and then left behind to be either, swallowed by the sea or picked up by a beachcomber. The second was released at the Greco Roman columns near the Old Exhibition Buildings on Lammas, 1 February 2014, this was a reference to my Italian heritage. The sixth release was at Station Pier, Port Melbourne on Imbloc, 2 August 2014, this is where my parents arrived in Australia. 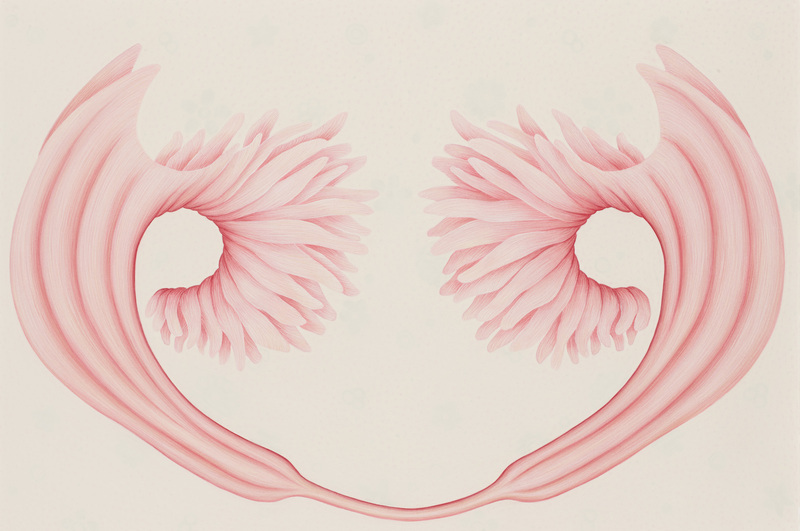 There have been nine releases in total and the final fish in this cycle was released on the summer solstice, 21 December 2014. 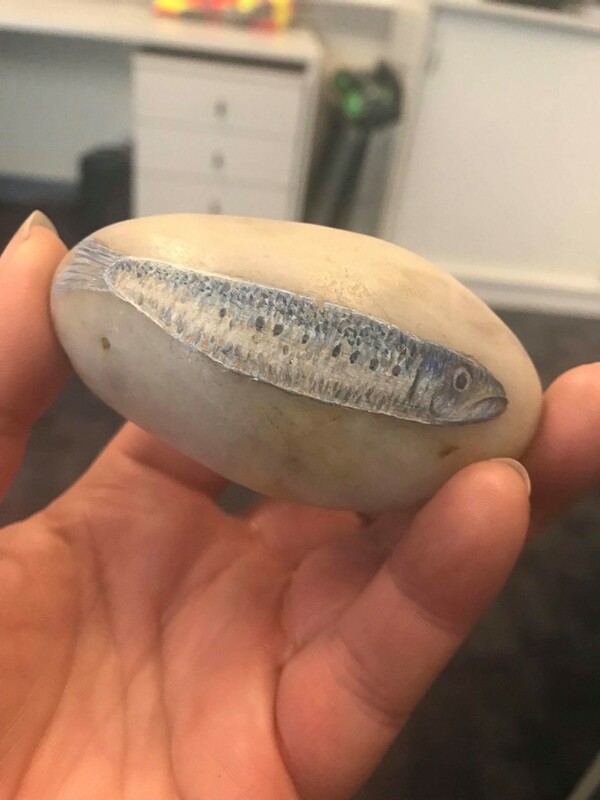 This project has been extended into a nine year project, Fish out of Water – Summer Solstice where I will release a sardine painted pebble at the summer solstice for each year ending 21 December 2021. 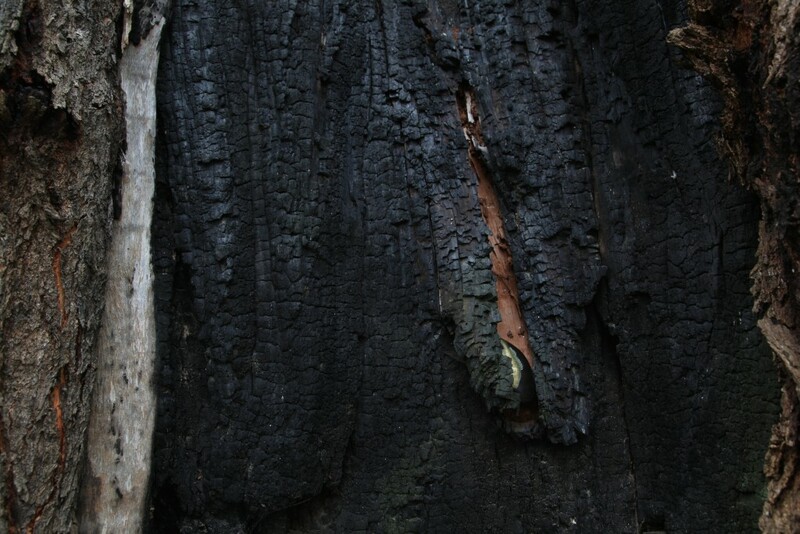 The third Summer Solstice release was on 21 December, 2015 at the Speaker’s Corner, Birrurung Marr.